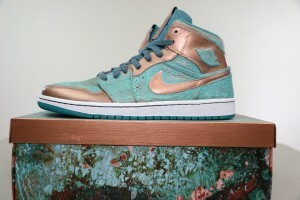 GourmetKickz and MassDrop come together to bring sneakerhead a custom collection including the Air Jordan 1 and Air Force 1 Patina Pack. 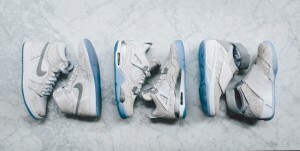 Jordan Brand celebrates some of their off-court heritage with the release of a special Jordan Laser Collection for All-Star 2015. 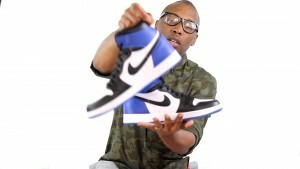 A quick look at the Air Jordan 1 x Fragment Designs Unboxing, the first remastered Jordan to release. 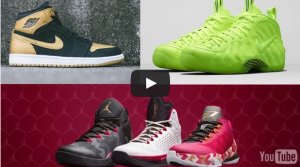 Nike Sportswear makes the Volt Foams official, Melo and CP3 get their own Air Jordan 1, Undefeated links with ASICS and more on Today in Sneaks. 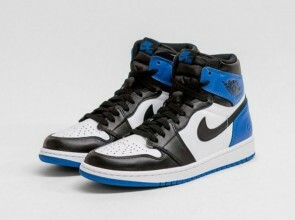 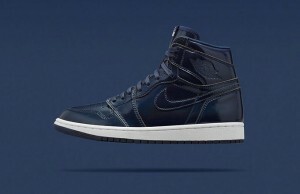 Nike Lab confirms the Air Jordan 1 x Fragment by Hiroshi Fujiwara for December 27. 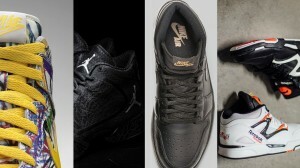 Jordan 1 black kicks, Reebok brings back an original colorway on the Pump Omni Lite, adidas drops the Alternate Away colorway of the D Rose 5 and more . 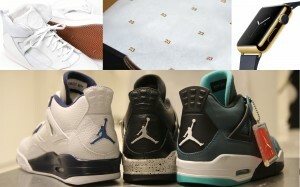 New Jordan GS Sizing for Girls in 2015 includes the Air Jordan Future, Jordan 1, Jordan IV, and Jordan VII. 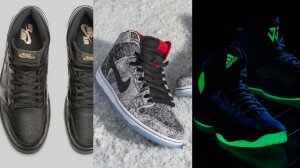 adidas Unveils the D Rose 5 Boost Christmas, Jordan adds gum to the Jordan 1 High OG, and Nike SB rocks with the salt stains.